Wine Flowing. | | Quiet Lunch. Wine, what’s your flavor? If you are not a wine connoisseur how do you know what the red, rose and whites are for? How about the ever loving sparkling? Then again, if you are just a novice wine drinker, then any flavorful wine that agrees with your ‘in-the-moment’ taste buds will do. But in a room with what seems like Olympian wine drinkers you can feel damn out of place. It’s almost a foreign land, you have stepped out of your zone and into one where the language about wine is very different than your own. 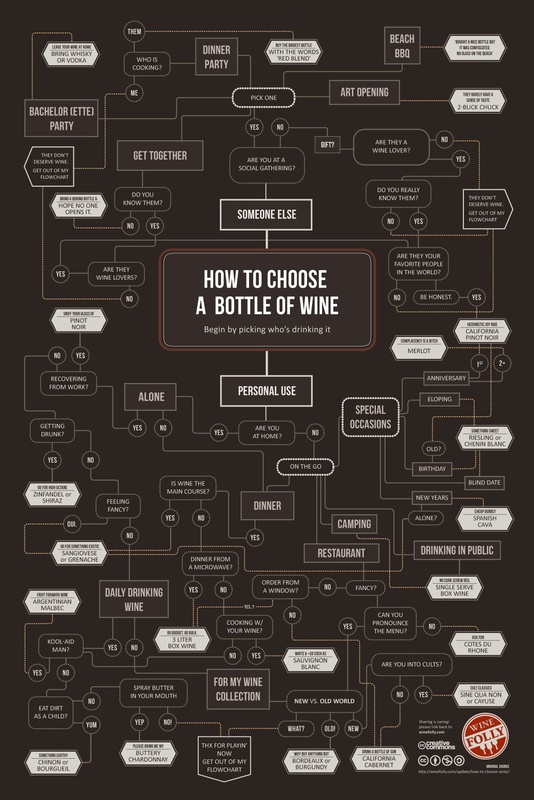 Get wine friendly and LOOK like you know what’s what; follow Wine Folly‘s flow chart on how to choose your wine.